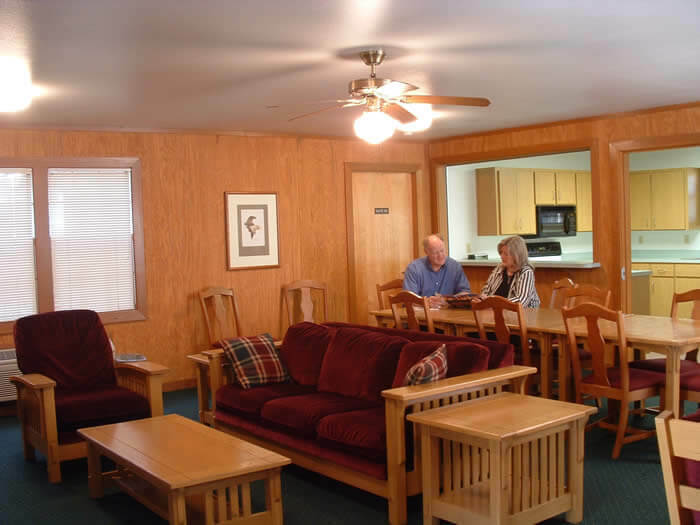 Each of our Villas offer private rooms and a common area for small meetings. Villas 3, 5 and 6 have kitchens which make them ideal for small groups, families and friends. Guests staying in the Villas can bring and prepare their own meals in the fully equipped kitchen or have your very own cook-out or picnic on the grounds.